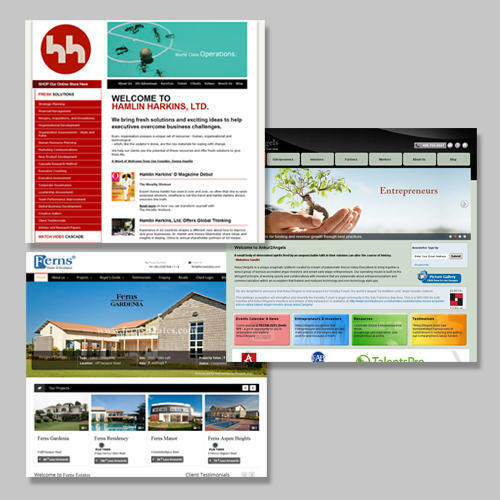 We are involved in providing Corporate Website Designing Services. These services are accomplished under the guidance of adroit personnel who have affluent industry proficiency. Owing to consistency, these are enormously demanded in the market. In addition, we complete this service as per client’s demand. Year of establishment 2005, we Taarruni Design Solutions are engaged in Service Provider and trading of Website Designing Services, Print Media Designing Services, Corporate Identity, SEO Services. These products are extremely used in the market for their features like, sturdy design, easy to use, excellent performance, longer service life and low maintenance. In order to make sure quality, the presented products are sternly tested on many quality parameters by quality experts. Moreover, our company has selected expert vendors’ team on the basis of their industry experience and skill. To meet various requirements of patrons, we provide these products in varied specifications.